Cryptocurrency is the digital currency for the digital generation. Ruling the market and defying all the misconceptions of the traditional investors of the world, it has emerged as a favorite opportunity for everyone in the world. The Tokens are becoming common in the marketplace as people are beginning to realize the value of it. The time value of the currency is the power we wish to preserve. Traditionally, banking institutions did the same task with the help of a saving account. But, there is no solution for the cryptocurrency users to store their crypto assets securely in any one place. There is a need for creating a solution for the above problem. Do you think it is possible to create a solution for the challenge mentioned above? TOKEN UNION is creating a solution for the cryptocurrency users to earn the time value of the cryptocurrency. The process is quite simple on the platform. People can register on the platform and enter into the holding contract. It is a smart contract on the ethereum blockchain. The contract provides the terms and conditions for holding your crypto assets on the platform. The users are paid rewards and tokens for holding their tokens for the longer duration with the option of withdrawing early. 5% of the total value of the held tokens are charged as withdrawal fees on the platform. The rewards are distributed to the users of the platform as soon as someone withdraws from the platform. UNI is the utility token on the platform offering many services for the users and investors. The team is working on the BANCOR network for the automatic conversion of the UNI Token into any other token on the platform. UNI Token Presale is currently live on the platform. People can register on the platform. The team working on the project is experienced and committed. They believe that power of blockchain technology will revolutionize the next generation of business. 1.Create Holding Contract (this can be done through the site of the platform). Send there your ERC-20 tokens (others are not supported). 3.Conform the amount of commission fees during the withdrawal of funds (the amount is fixed). 4.Your wallet allows you to conduct simple transactions between users, monitor all that is happening in your account (how much they have earned, what general balance, what course and other nuances). 5.Someone, for example, decides to withdraw his money from the platform and pays out the agreed commission. This commission is divided between the platform participants, and you increase your savings. To receive rewards in the currency you need, you need to adjust the settings, but only once, no further adjustments will be required. 6.Tokens platform will be converted to any supported by the platform currency. You can exchange, pay, buy with your wallet. The platform offers rewards for storing the crypto assets, and in a way, it has given us the opportunity to earn while holding our tokens. Autonomous distribution of the rewards will take place on the platform. Utilizing the blockchain technology, they have created a simple and transparent application for the cryptocurrency users. Web app and mobile app are available for the users of the platform for monitoring their assets growth. Are we ready to store our tokens on the platform? 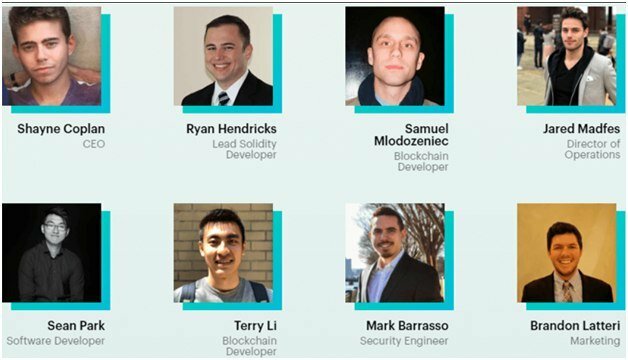 The founders of the TokenUnion project are a young, ambitious team with common goals, which already has the experience of creating large projects. Despite the fact that some members of the team are still significantly younger, they already have experience in developing software. In addition to the main team members, the TokenUnion project is helped to develop advisers - professionals with vast experience.